These next two months will be the last for foreign investors to make substantial savings on Perth property purchases. 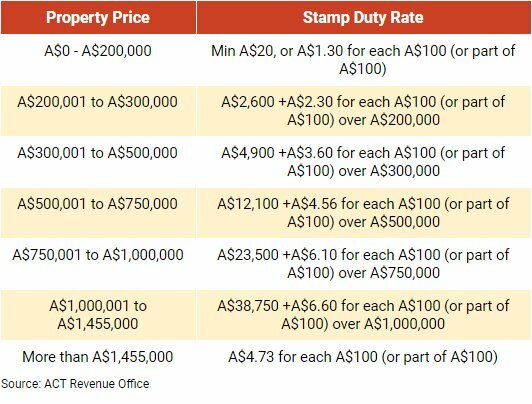 Come Jan 2019, Western Australia will join the rest of the country in imposing a stamp duty surcharge on foreign property buyers in the state. Earlier this year, the Western Australia (WA) government announced that foreign buyers of residential property in the state will have to pay a stamp duty surcharge of 7%. WA is the last state in the country to impose a stamp duty surcharge on foreign property buyers. 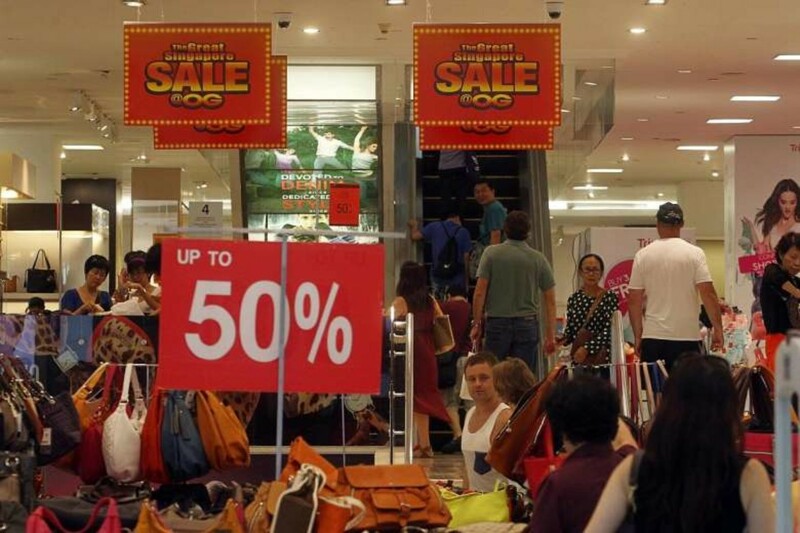 The tax will be in force from 1st Jan 2019, and brings WA into line with the rest of Australia in imposing a foreign purchaser duty surcharge. This surcharge is now imposed by the six Australian states and the ACT at varying rates and scope. 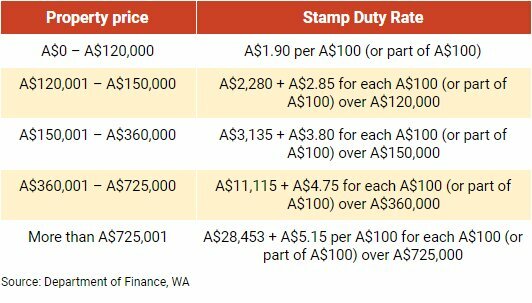 Current additional stamp duty rates for foreign buyers in the Australian states. Australian citizens, Permanent Residents and special category visa holders do not need to pay this tax. Corporations and trusts are not exempted as long as foreign interests in the entity exceed 50%. Residential developments with 10 or more lots are excluded from the tax. Industry players like the Real Estate Institute of Western Australia (REIWA) have opposed the tax. Its outgoing President, Hayden Groves said the tax will cause an upward pressure on rental prices. Perth’s median house price for September was at $505,000, 1% lower compared to last year YOY. 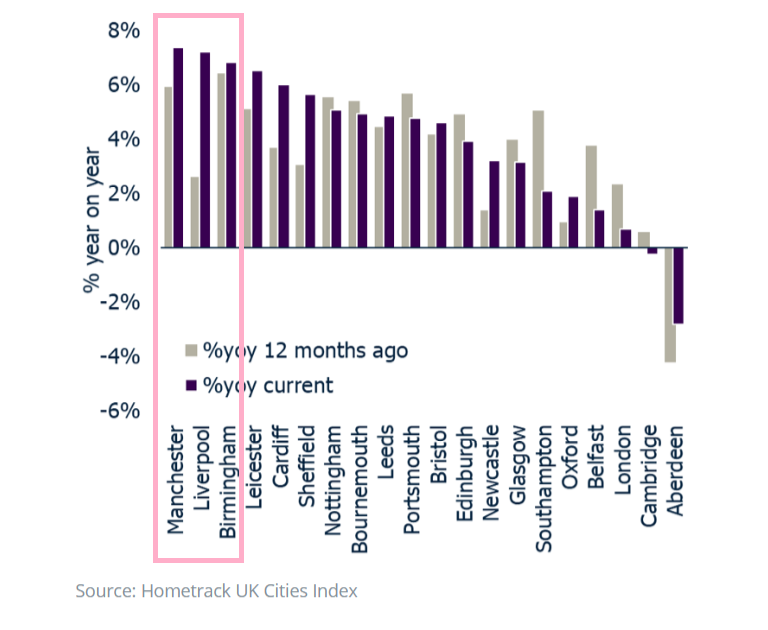 Comparatively, 3 years ago the median house price was declining at a more significant pace, recording a 4.2% decline between September 2015 and September 2014. Although prices in Perth remain soft, the decline of house prices has slowed, which is good news and an indicator that prices are starting to bottom out. Improved affordability in the Perth housing market presents investors with an excellent opportunity to get in before the additional stamp duty kicks in on Jan 1st, 2019 and prices start to rise again. Incoming REIWA president Damian Collins said that in this quarter leasing activity was up, median rents remained stable, stock levels had reduced, average leasing times were quicker and the vacancy rate had plummeted to its lowest level in more than four years. 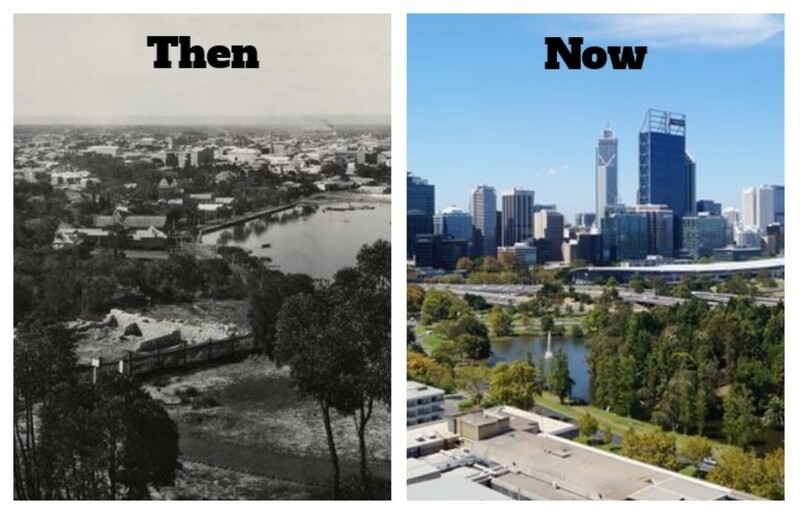 Perth’s vacancy rate declined to 3.9% during the September 2018 quarter – the lowest level Perth has experienced since the March 2014 quarter. Mr Collins said, “With all key market indicators improving during the September quarter, Perth’s vacancy rate has now fallen below the 10 year average. 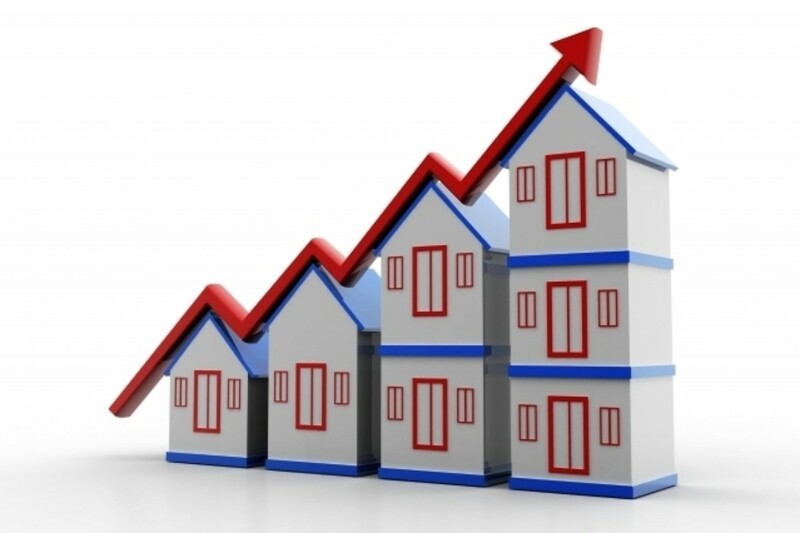 Interested in to get into the Perth property market before the 7% tax kicks in? 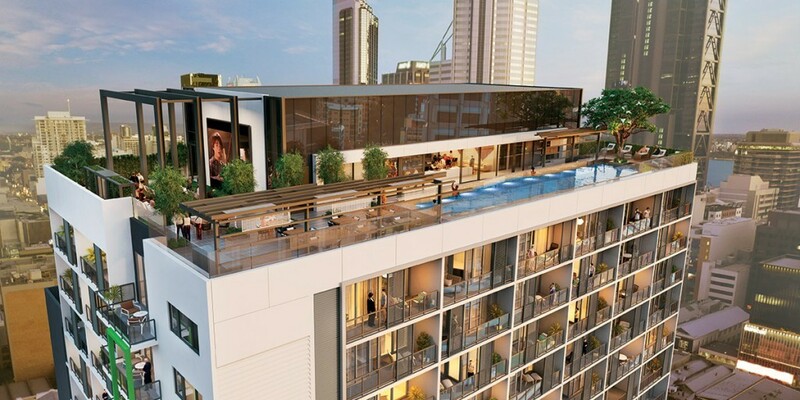 One of the latest developments in the city’s prime CBD (central business district), NV Apartments, has a superb location with a whole host of luxurious amenities, from just A$313,000. 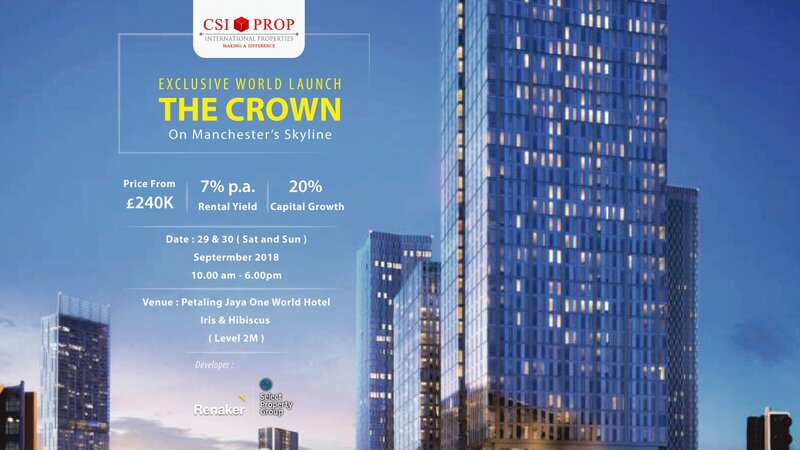 Act quickly and give us a call at (+65) 3163 8343 (Singapore), 03-2162 2260 (Malaysia), or email us at info@csiprop.com. A recent report warned that, by 2040, the British elderly population in need of care will hit a critical 6 million. The report was commissioned by the Department of Health and Social Care, and carried out by the London School of Economics, and York and Kent ­universities. Britain’s elderly population is growing rapidly. In 25 years, the report projected that the number of those over 65 years of age will increase from 9.7 million to 14.9 million, a rise of more than half. 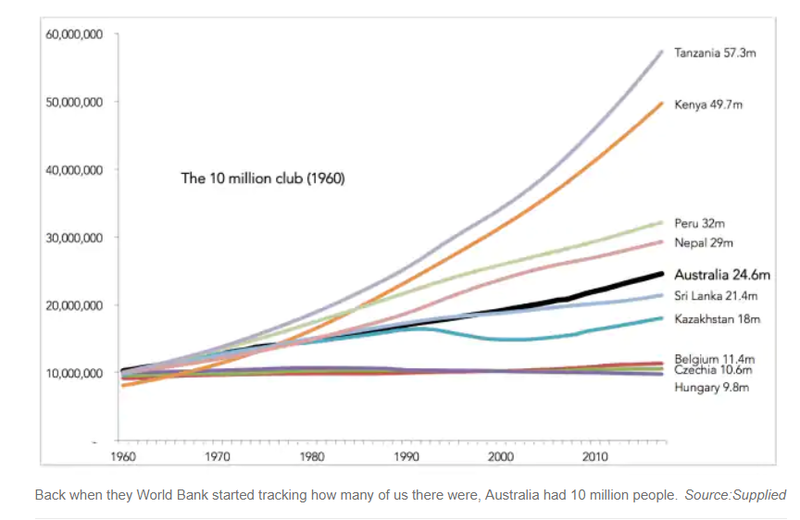 Those over 85 years of age are projected to rise even more rapidly, more than doubling from 1.3 million to 2.7 million. 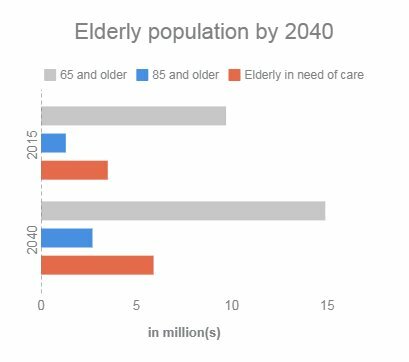 Of the elderly population, those in need of care will shoot up to 5.9 million, an increase of almost 70% from the previous 3.5 million. Public expenditure on social services is expected to balloon from £7.2 billion to £18.7 billion, which is more than two and a half times the amount spent in 2015. The £9.4 billion in dedicated social care funding provided by the Department of Health and Social Care to local authorities over a three-year period, has been insufficient for the growing elderly population in need of care. Budget cuts have hit social care aid, and NHS figures showed those receiving help have fallen by 400,000 since 2010. Ian Hudspeth, chairman of the Local Government Association’s Community Wellbeing Board said: “With people living longer, increases in costs and decreases in funding, adult social care is at breaking point. “Adult social care services face a £3.5 billion funding gap by 2025 just to maintain existing standards of care. The likely consequences are more and more people being unable to get quality and reliable care and support,” he said. The elderly that do not qualify for social care funding will have to pay out of their own pocket. Private expenditure is projected to rise from £6.3 billion in 2015 to £16.5 billion in 2040, an increase of 163%. Yet, private care may not be that easy to obtain either. 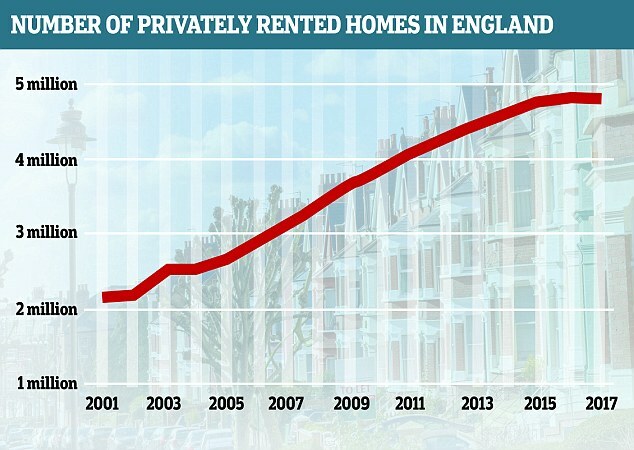 In May, CBRE reported that by 2021, there would be a shortfall of more than 148,000 beds at private care homes. Currently, 85% of Britain’s care home stock is over 40 years old with half of the existing 480,000 care home beds not fit for purpose and 6,600 care homes at risk of closure over the next five years, due to poor condition. For the elderly in need of care but are unable to obtain it, there is undue pressure on their family and friends to provide assistance for daily living. This is not sustainable — the fate of Britain’s elderly lies in whether the country can build enough care homes to ensure them a decent standard of living. New-build care homes are currently being constructed across the country to meet this need. With low supply and high demand, this sector offers lucrative opportunities for investors, providing high returns at low risk. Care homes from several developers like Qualia and Carlauren are packaged to be accessible to investors. There is no need for a large amount of capital, with investors being able to purchase as little as just an individual room, which has the additional benefit of falling below the stamp duty threshold for commercial property. This brings great returns due to the savings on duty. An investment in care homes goes beyond monetary gain, and provides a practical benefit for society — specifically the British elderly population in need of care. This weekend in Singapore at the Hilton Hotel (Thailand & Singapore Room Level 5), attend the launch of Bayview, a UK care home in Morecambe Bay. Meet Carlauren CEO Sean Murray and find out how you can get 10% rental returns assured for 10 years, starting from a capital of £85,950! What are your thoughts about the elderly care crisis the UK is facing? Drop us a comment below. If you are interested to invest in UK Care Homes with the potential for high returns while making a difference, don’t hesitate to give us a call at (+65) 3163 8343 (Singapore), 03-2162 2260 (Malaysia), or email us at info@csiprop.com! You’ve decided to invest in Australia property but have no idea what the purchase process entails. This article will guide you through some of the stages in the investment process. It starts with choosing a property that fits your budget and investment goals, and appointing an agency that can take you through the purchase process — unless you prefer the hassle of flying to and from Australia and dealing with the developer/seller directly! It is important that your agent works closely with the developers, facilitating communication from the developer to you, and vice versa. At CSI Prop, we recommend investments based on your goals and budget. 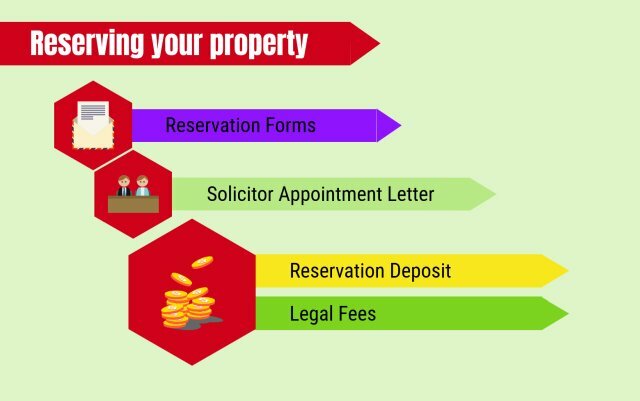 Once you have decided on the property for investment, you will need to sign Reservation Forms and a Solicitor Appointment Letter. CSI Prop works closely with a panel of solicitors and mortgage brokers who are recognised in Australia. We’re happy to recommend our panel, but you also may use solicitors or mortgage brokers of your own choosing. Subsequently, you will sign the Contract of Sale for the property, and make your first payment to the developer. For apartments, this is 10% of the property price. For a land and house package, the first payment will be 10% of the land price and 5% of the building price. You will also need to make an application with the Foreign Investment Review Board (FIRB). This process is required of non-resident foreigners before purchasing any residential property in Australia. The cost for this (as of 2018-19) is A$5,600 for dwellings valued at A$1 million or less. Application for financing can be done 3 to 6 months before settlement, and the banks will assess your financing position and eligibility. There are typically no application and processing fees to finance your property. However, the bank legal fees can incur up to 1.5% of the value of your property. There are several banks in Malaysia and internationally that offer financing, please get in touch with us to find out more. Once your property achieves completion, the developer will send a Completion Notice to your solicitors. You will need to make full payment for the property at this stage, which is also known as the final settlement. At this point, you will also need to pay stamp duty, also known as land transfer duty, to the State Government. 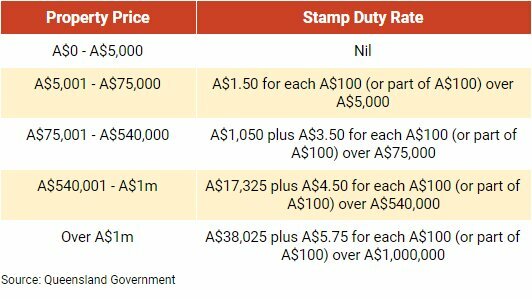 Stamp duties differ in amount across the different states of Australia, and the following rates covered here are applicable to residential property only. Different rates may apply to commercial property. Foreign property buyers pay an additional 7% duty on top of these normal rates (stamp duty surcharge), unless exemptions apply. There are exemptions for Australian-based corporations or trusts which add to the supply of housing stock in Victoria. First-time buyers pay no stamp duty on a property that costs below A$600,000, or a reduced rate if the property has a value of between A$600,000 and A$750,000. Pensioners don’t have to pay stamp duty on a property that costs below A$330,000. They also get a partial concession on properties valued up to a maximum of A$750,000. 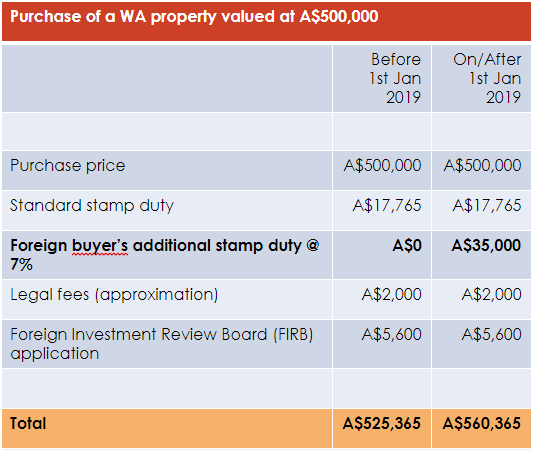 Foreign property buyers pay an additional stamp duty surcharge of 7% in Western Australia starting 1 January 2019. Foreign property buyers pay an additional stamp duty surcharge of 0.75% in the ACT. 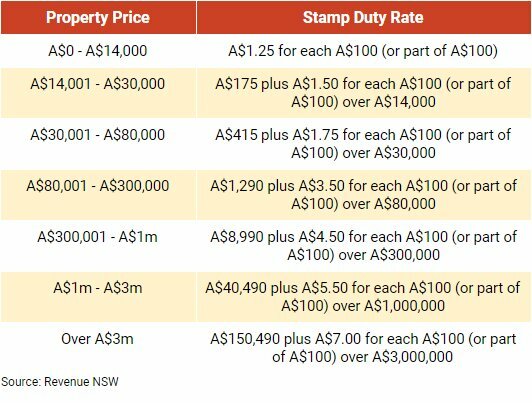 Foreign property buyers pay an additional stamp duty surcharge of 8% in New South Wales. Foreign property buyers pay an additional stamp duty surcharge of 7% in Queensland. 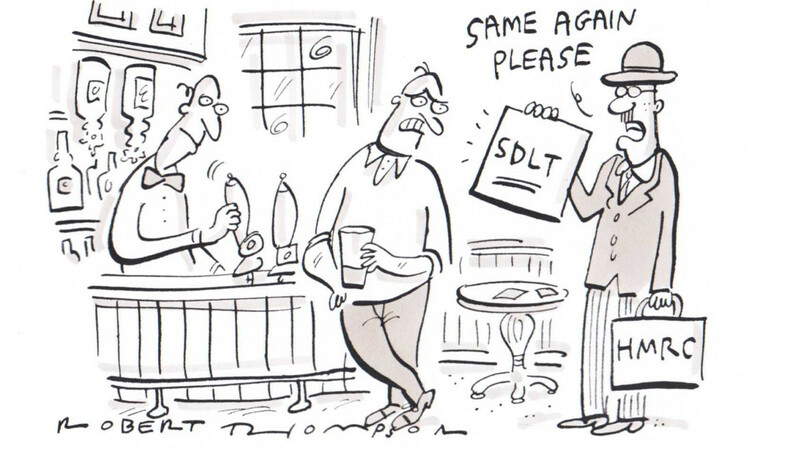 When you exchanged contracts with the developer you may have signed an agreement to hire a letting agent. You may also have chosen to manage the property yourself. When you receive your rental income, you will need to pay income tax to the Australian Government. Different income tax rates apply for Australian residents and non-residents. 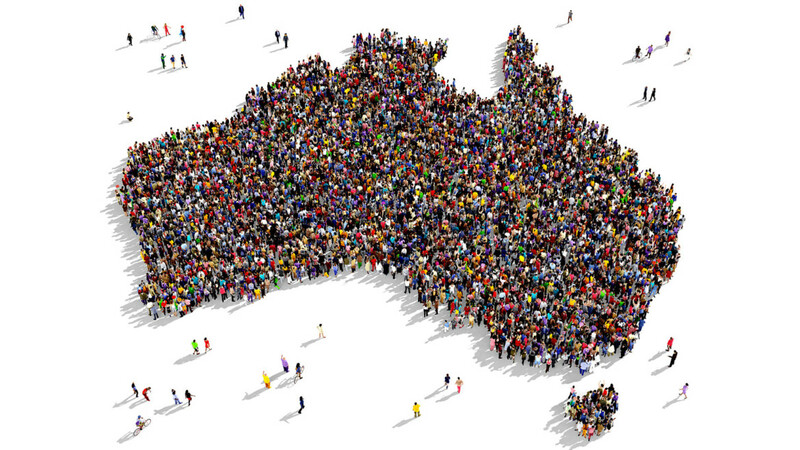 You may also be taxed again on your Australia income by the country where you’re resident in. Malaysians do not need to pay taxes on rental income from Australia, to the Malaysian Government due to the double taxation agreement that both countries have. If you live in another country, you will need to find out if there is such an agreement between your country and Australia. Taxes need to be filed yearly. You can file your taxes yourself, or hire a tax agency to do it for you. CSI Prop can recommend a qualified professional in Australia to manage your taxes. Note that if you own a residential property in Victoria that remains unoccupied, you may be liable for Vacant Residential Property Tax (VRPT). The tax was introduced as a measure to increase available rental properties, and is at a rate of 1% of the Capital Improved Value (CIV). The agent’s commission rates, your advertising budget, and exclusivity will be decided by you and the agent. The agent will provide an appraisal of the property indicating how much they expect to sell the property for, and tell you how they plan to market your property. Agents fees vary according to state. Legal fees generally range between A$700 and A$1300. 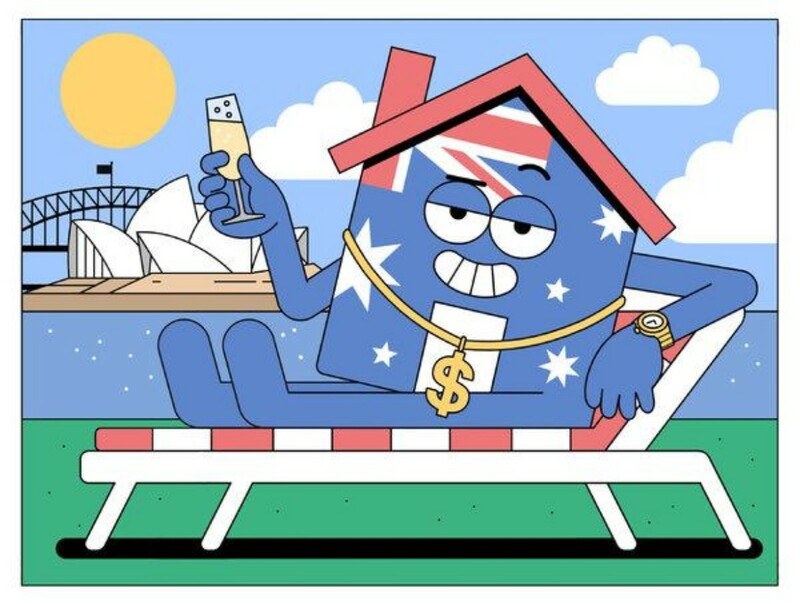 In Australia, capital gains are treated the same as income from other sources. Any net capital gain from the sale of a property is included as part of the seller’s income and taxed together with their other income. Capital losses can be offset against capital gains. Residents qualify for a 50% Capital Gains Tax discount, as long as they have held the asset for at least 12 months before disposal. If you are interested to explore investing in Australian property for high returns, or if you need us to refer you to a good tax firm in Australia, don’t hesitate to give us a call at (65) 3163 8343 (Singapore), 03-2162 2260 (Malaysia), or email us at info@csiprop.com! On a recent cloudy Saturday afternoon, CSI Prop hosted yet another exciting and fun Investor Club event, honouring the King of Fruits and the pride of all Malaysians: a Durian Party in recognition of the favourite season of the year! The party, held at DurianBB Park KL, was a smashing success. 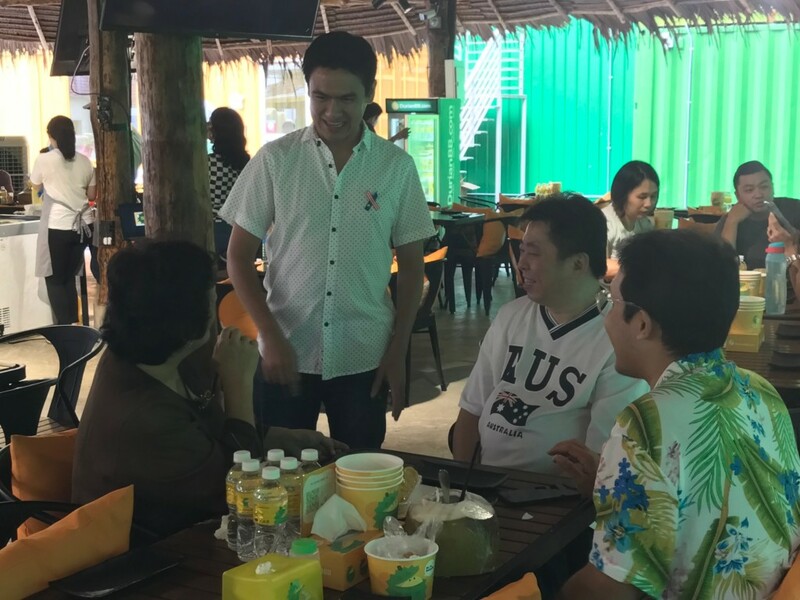 The place was packed with investors and their family members who arrived in excited anticipation of the durian spread. As the theme suggests, this day was all about indulging in durian and its greatness. On the menu were sweet, pulpy, mouth-watering varieties of durians and delicacies made out of durian such as pies and tarts. Other tropical fruits like mangosteens, nangka and rambutans were also served alongside multi-flavoured ice-creams and fresh coconut juice. 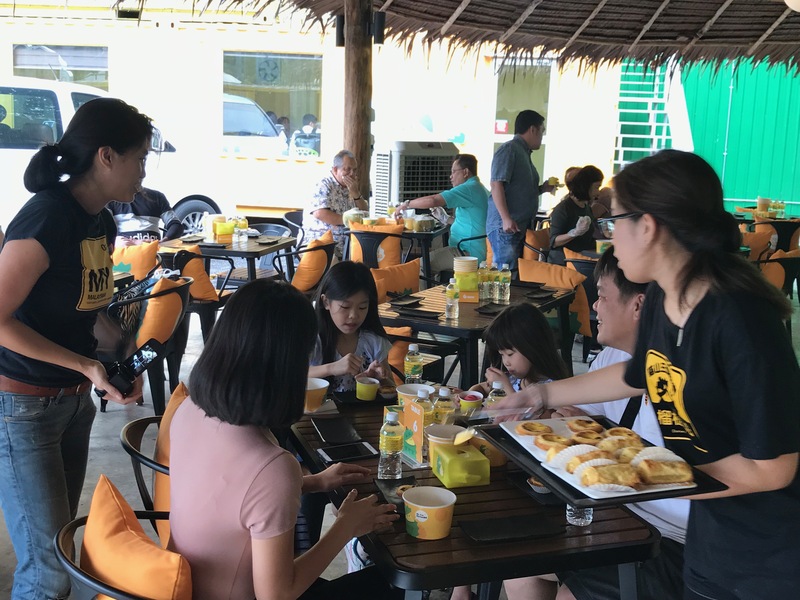 The party kick started with a free flow of durian to every table where investors, alongside their family and friends, relished in the variety of durians, ranging from the mildest-tasting to the rich and creamy Musang King. Ever the affable host, CSI Prop Director, Virata Thaivasigamony fleeted from table to table to greet and chat with guests. 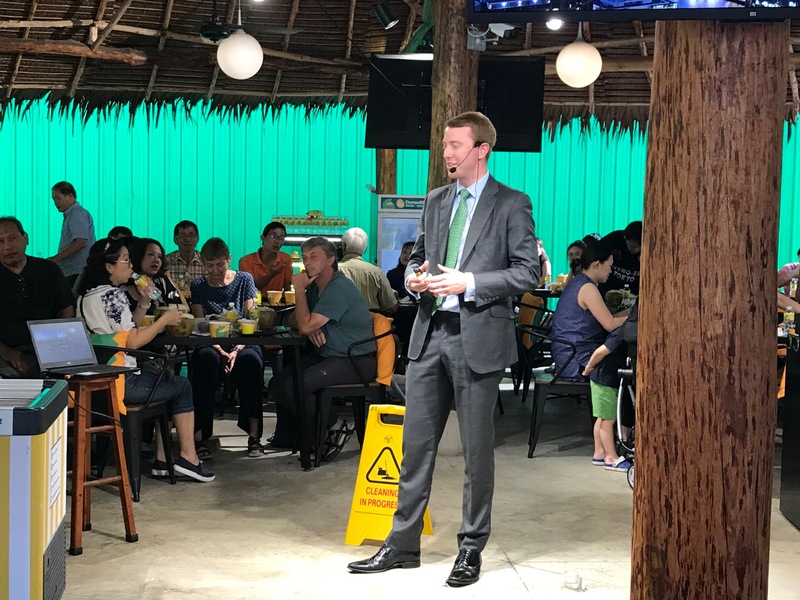 He then gave his welcome speech, where he shared about his own investment journey and some informative insights on the UK property and investment market. Sam Lee of Capricorn Financial Consultancy and our guest speaker from the UK, spoke about the current state of the mortgage market, the various financing terms available and the lending criteria for property investment in the UK. Switching gears, we had a short and sweet session on how to pick and sample durians according to its intensity of taste, courtesy of DurianBB Park’s Stella Heong. For example, did you know that the Musang King is the strongest-tasting durian and should be eaten last? Neither did we. Stella also shared that durian and mangosteen, being the ‘fruit couple’, should always be eaten together so that the heat from the durian can be neutralized by the juicy mangosteen. What’s a party without games? 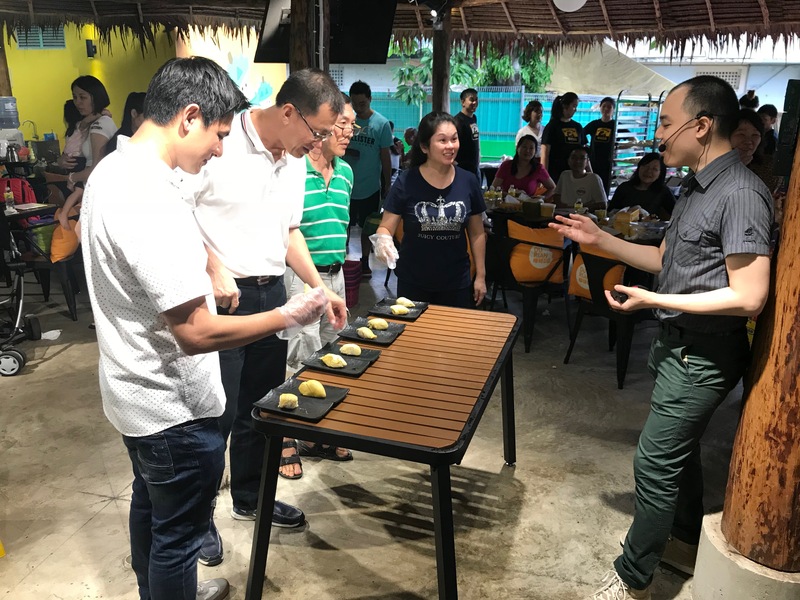 Investors were invited to participate in a durian-tasting game and stand a chance to bring home a free durian. Our investor, Mr Alex Goh, was the winner, guessing correctly in just a matter of minutes! Are they able to guess the durian? The durian party was clearly a hit, judging by how quickly more than 200kg of durian were consumed (on top of other fruits and pastries!) and the gleeful smiles on the faces of our guests. The evening closed with our guests receiving a goodie bag of durian snacks. Missed out on the last Investor Club event? Stay tuned for our next one in Q4 and wait for your invitation via email! The CSI Prop Investor Club is open to all clients of CSI Prop. It is a platform for knowledge, fun and networking and is a realisation of our core values of Knowledge, Service and Having Fun. Manchester has chalked up yet another feather in its cap. The northern city now ranks among the world’s top 10 most popular cities for global investment, according to IBM’s latest Annual Report on Global Location Trends. The report, IBM’s eleventh, tracked the movement of investment flows and its impact on economic growth around the world. 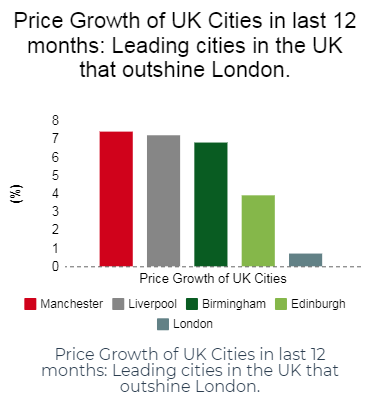 This latest accolade adds credence to Manchester’s track record as one of the fastest-growing cities in the UK. 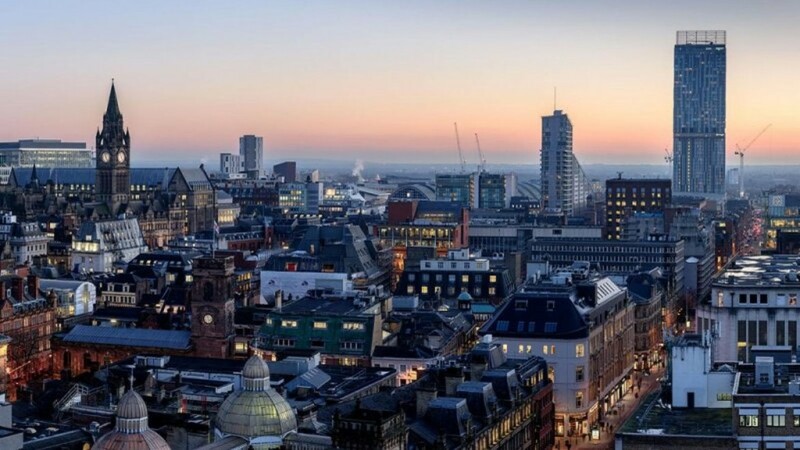 Along with Liverpool, Manchester attracted 68 foreign direct investment (FDI) projects in 2017, beating other global cities like Toronto and Barcelona. Specialisms in cyber security, FinTech and advanced materials helped the city bring the largest number of investments into the UK, second to London. The report echoes the EY Attractiveness Survey UK 2017/18 which ranked Manchester as the most successful city to attract FDI outside London. Manchester also retained its place as the UK’s Most Liveable City in the Economist Intelligence Unit’s 2018 Global Liveability Ranking. The UK is currently placed fifth in the list of the worlds’ most influential FDI destinations. Britain was also ranked fifth for FDI job creation, with 51,500 new jobs born out of these global investments. Manchester and Liverpool jointly created 7,000 jobs last year. Tim Newns, Chief Executive of MIDAS, Manchester’s inward investment agency, said: “This report once again confirms Manchester as a globally significant business destination and, together with Liverpool, illustrates the potential of the Northern Powerhouse. In August, Booking.com, the world’s third largest e-commerce company announced a £100 million investment into a new global HQ in Manchester, with online health and beauty retailer The Hut Group (THG) also announcing plans to move into MediaCityUK.